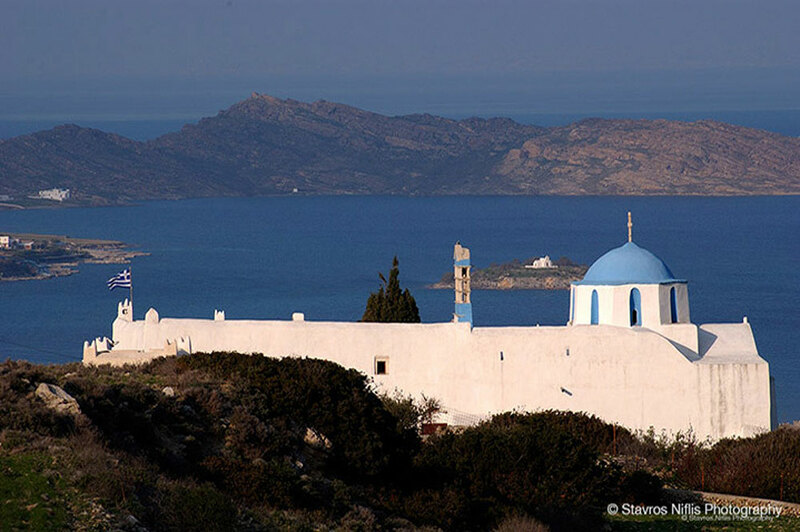 All around Paros & Antiparos, up to the most remote regions, you can see small white chapels. There are also numerous monasteries, large multi-level constructions surrounded by protective walls with an interior courtyard –a sophisticated architectural style that emerged due to the fear of pirate attacks. 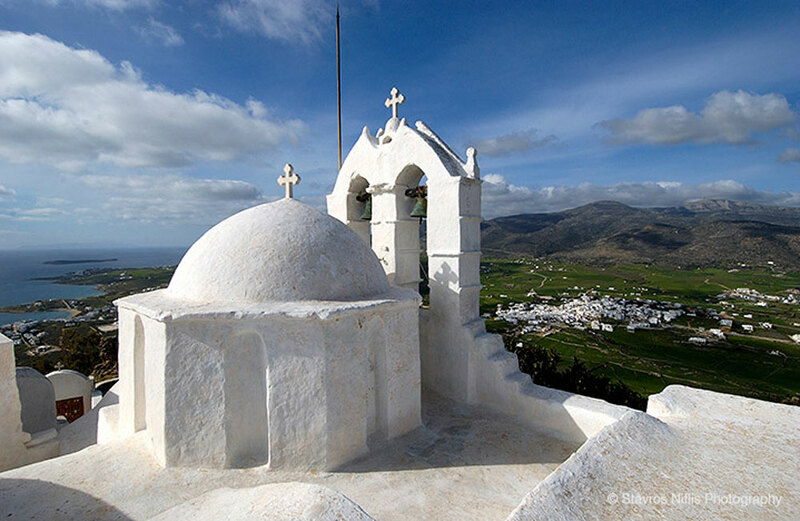 The churches of Paros are built in a noticeable variety of styles: small and large, some with domes, others connected, some with a plain roof cross, others with artistic bell towers. Each one is connected to a historical fact, a myth, a miracle making... Each one unique. 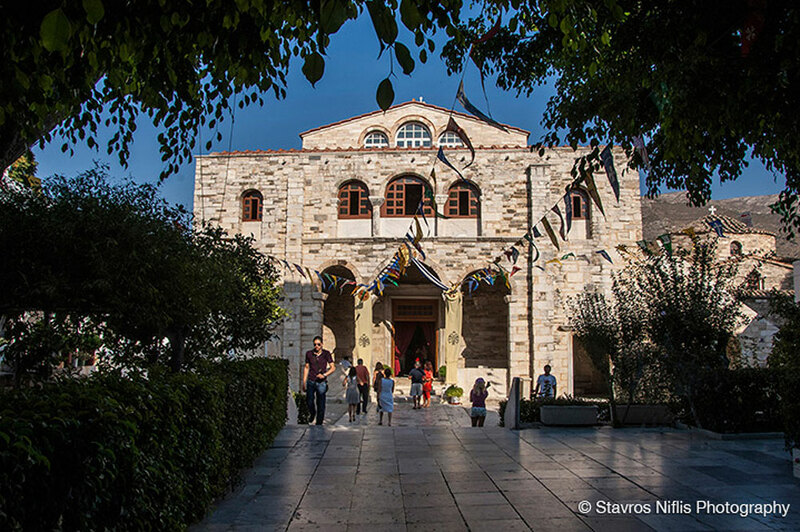 Monastery Agii Anargiri, on a nearby hill overlooking Parikia with spectacular sunset views. Monastery Agios Arsenios, Butterfly Valley. Monastery Logovarda (men visitors only). Monastery Thapsana (women visitors only). Monastery Agios Andreas, 1648 AD. Next to the center of the village. Monastery Agios Ioannis Theologos, 16th cent. AD. Monastery Agios Ioannis Detis, cape Korakas. Church of Virgin Mary "Koimiseos"
Church of Virgin Mary "Pantanassas"
Church of the Holy Trinity. Ornamented with a precious icon screen, carved columns and other features all made out of fine Parian marble. The church is connected with some interesting local myths. 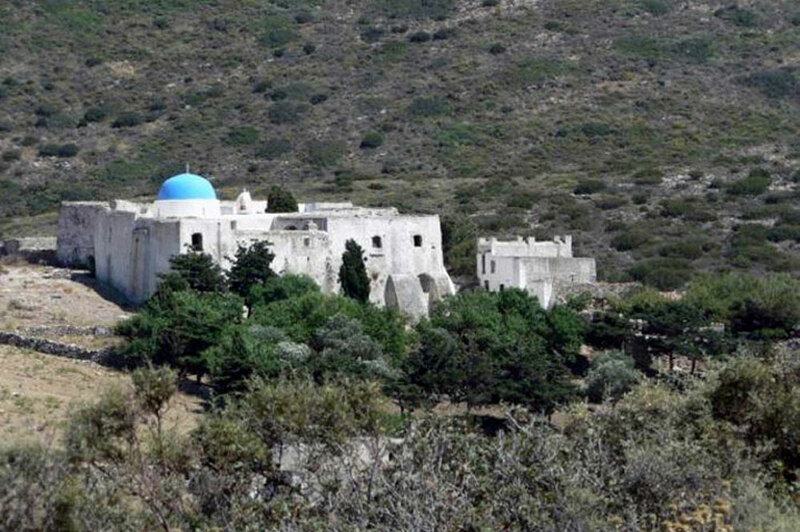 Monastery Agios Antonios, on top of Kefalos Hill. It can also be reached by an uphill path; the view from its courtyard is rewarding. Old Church of Metamorphosis, 14th cent. BC. Next to the windmills. 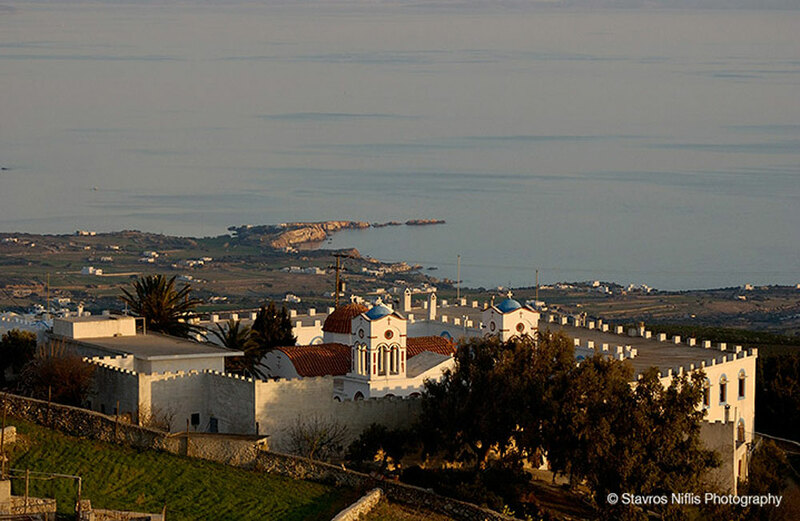 Monastery Agios George Lagadas, 1664: located among unspoilt countryside. Monastery Agii Theodoroi, next to Ageria. Monastery Agios Ioannis Spiliotis, at Tripiti. Church of Agios Georgios, Ageria. Church of Agia Marina, opposite the port. Church of Agios George, in the area of Agios Georgios. 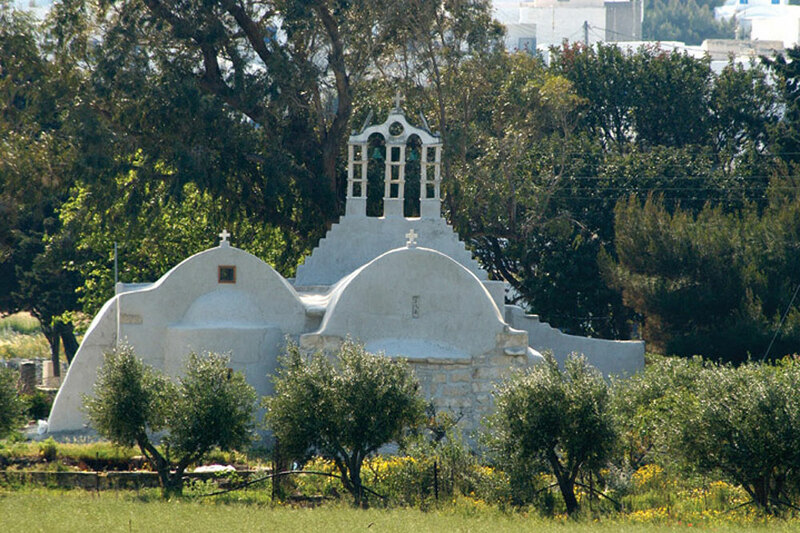 Church of Virgin Mary Faneromeni, on the most southern part of the island.